Creating a world that embraces inclusion starts with our own culture. That’s why our team works to make our workplace accessible for everyone through education, training and a commitment to inclusion. 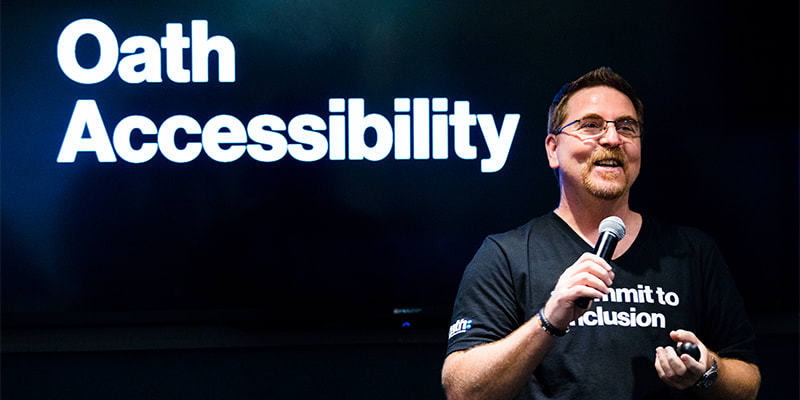 Oath builds a culture of accessibility and inclusion through education and experiences, such as new hire tours, training, pop-up labs, speaker events, and more. 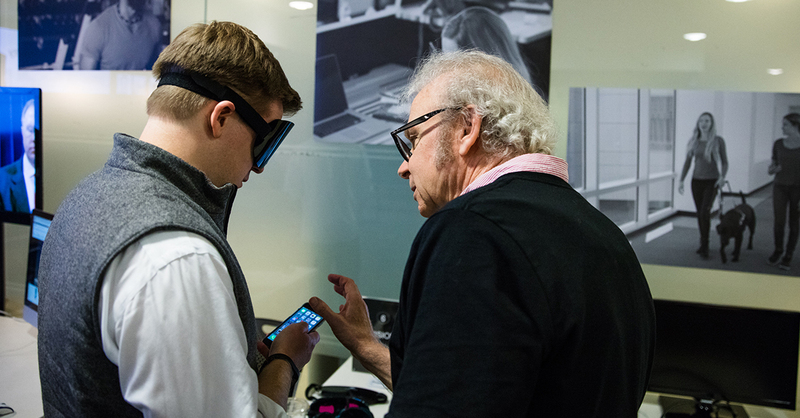 Our Accessibility Labs in New York, Sunnyvale, and Boston provide guests the chance to experience our products as they are experienced by people with disabilities through assistive technologies. The idea is to create awareness and education on how to build accessible brands and products. Team members work to test a mobile application using a screen reader. Oath is dedicated to making our company a great place to work for everyone—including employees with seen and unseen disabilities. That’s why we work with HR and recruiting to remove barriers to accessibility, and to foster a workplace where everyone can be themselves, compete and excel. We are proud to work with partners such as USBLN and Cornell to support a disability inclusive workplace. Oath’s Neurodiversity Employee Resource Group empowers employees who have neurological differences through awareness, education and a network of support. 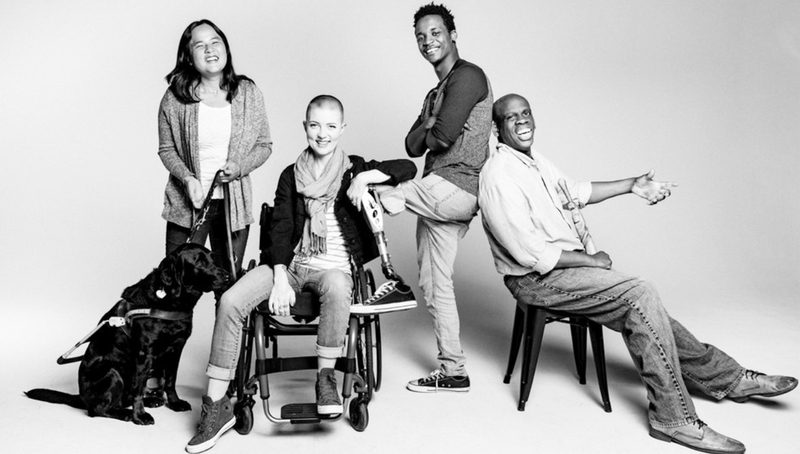 Black and white picture of diverse group of four people, one with a guide dog, one in a wheelchair, smiling and proud. We're always looking for smart, passionate people who want to make an impact. When we’re not busy working to make our products and media accessible, we’re advancing accessibility in our industry and giving back to the community. Our team sits on advisory councils and contributes to public policy initiatives.